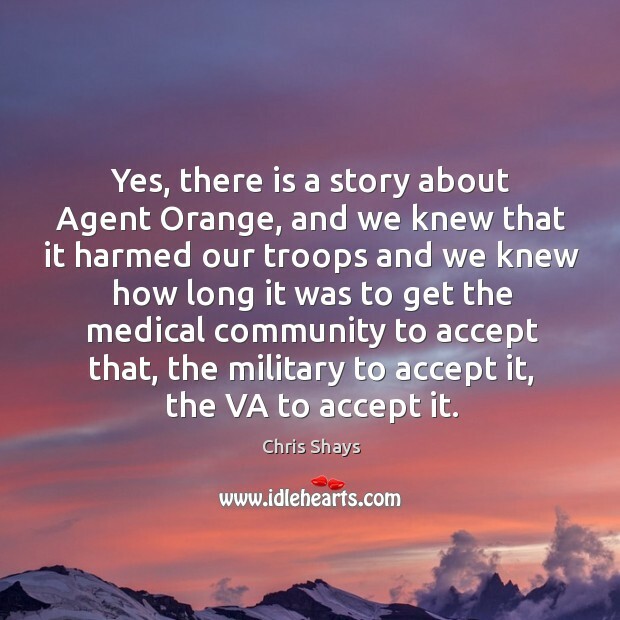 Quotations about Agent Orange. Quotes to stimulate mind and drive action! Use the words and quote images to feed your brain inspiring things daily! It won't hurt you. It's just to kill plants. 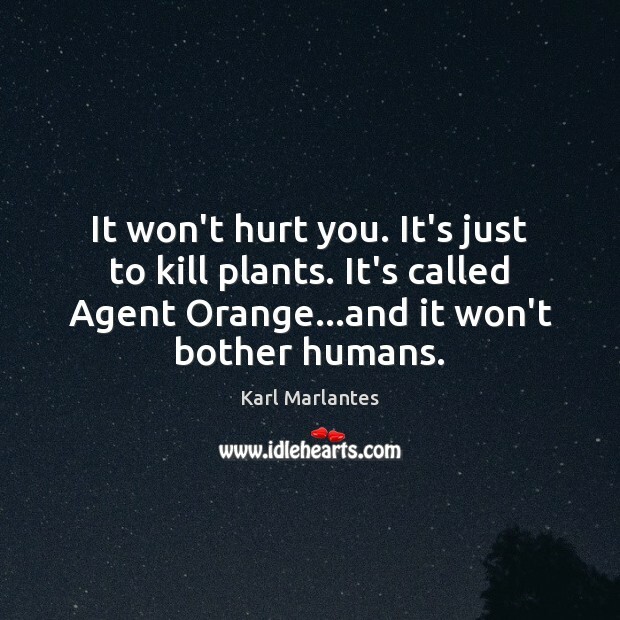 It's called Agent Orange...and it won't bother humans. 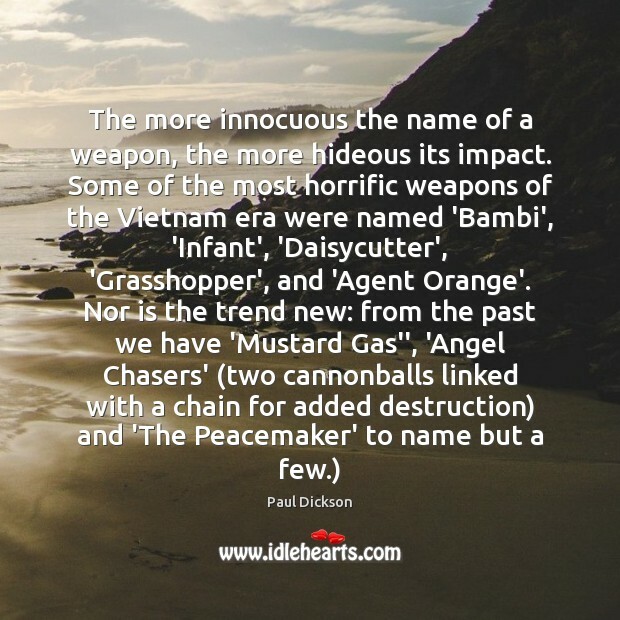 The achievements of past struggles and the aspirations of an entire nation are [being] undone and erased.... No Agent Orange or steel pellet bombs, no napalm, no toxic chemicals: a new phase of economic and social (rather than' physical) destruction has unfolded. 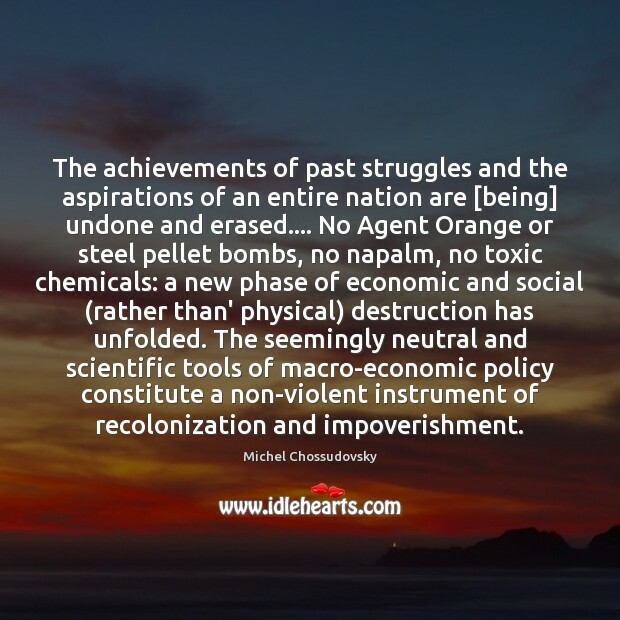 The seemingly neutral and scientific tools of macro-economic policy constitute a non-violent instrument of recolonization and impoverishment. At this moment, glyphosate is the biggest threat. And because of its overuse, we are seeing the emergence of superweeds, which have grown resistant to glyphosate. 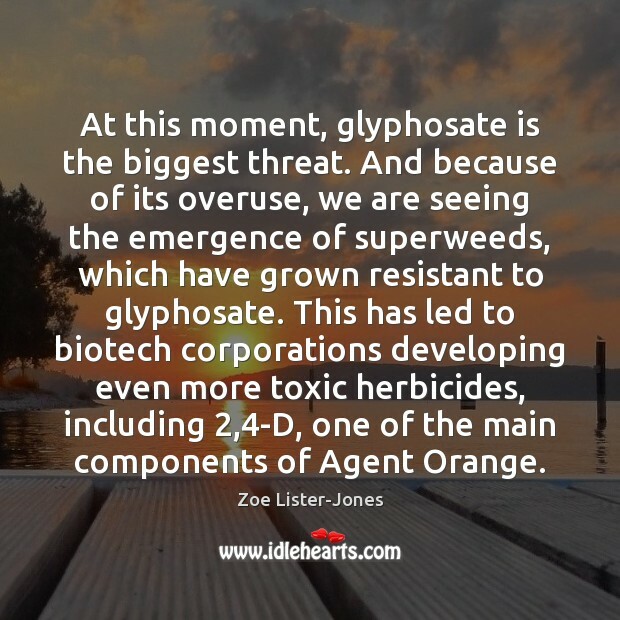 This has led to biotech corporations developing even more toxic herbicides, including 2,4-D, one of the main components of Agent Orange. Politicians had always viewed environmental issues as narrow things of no great political consequence. Sort of NIMBY issues. 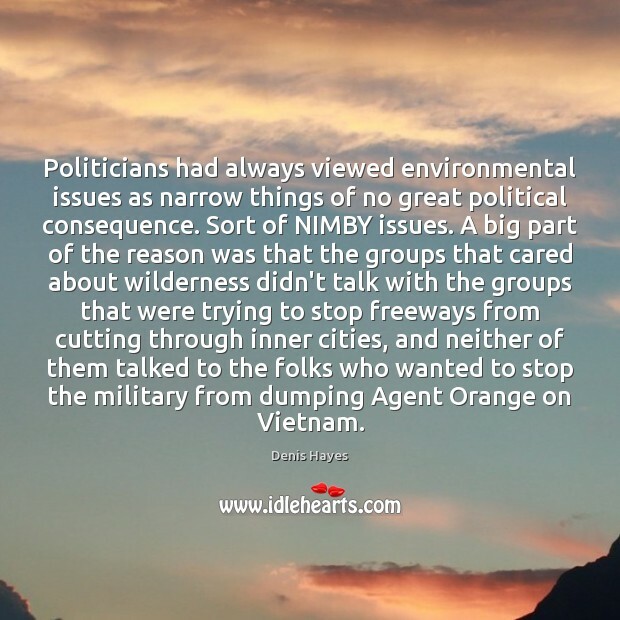 A big part of the reason was that the groups that cared about wilderness didn't talk with the groups that were trying to stop freeways from cutting through inner cities, and neither of them talked to the folks who wanted to stop the military from dumping Agent Orange on Vietnam. 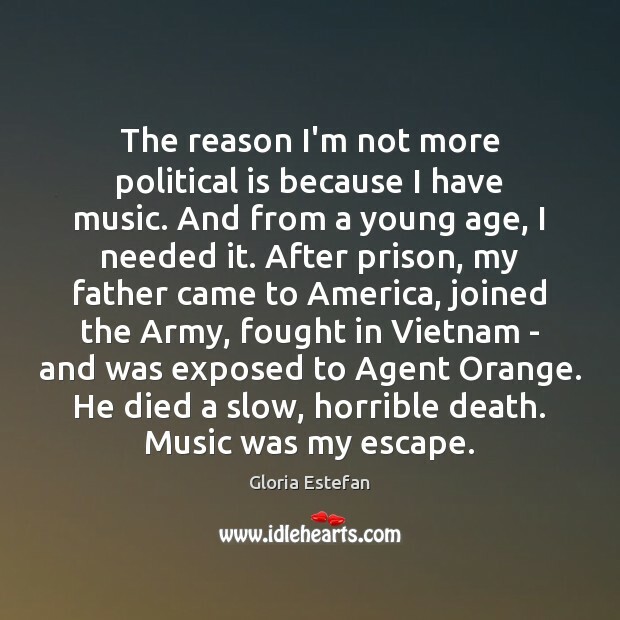 The reason I'm not more political is because I have music. And from a young age, I needed it. 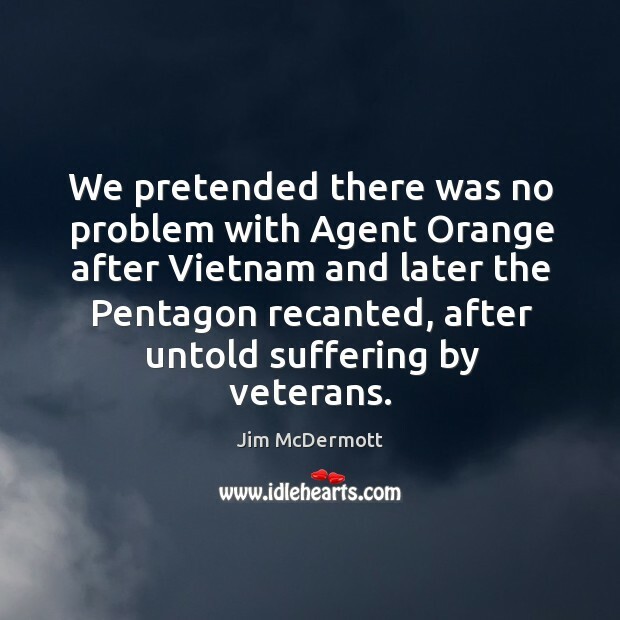 After prison, my father came to America, joined the Army, fought in Vietnam - and was exposed to Agent Orange. He died a slow, horrible death. Music was my escape.